Is there anyone who doesn’t like ‘The Borrowers’? Does anyone find the idea of tiny people who live behind the skirting boards creepy, silly, or just plain boring? I suppose there may be someone out there, somewhere in the world, but I find it hard to believe. 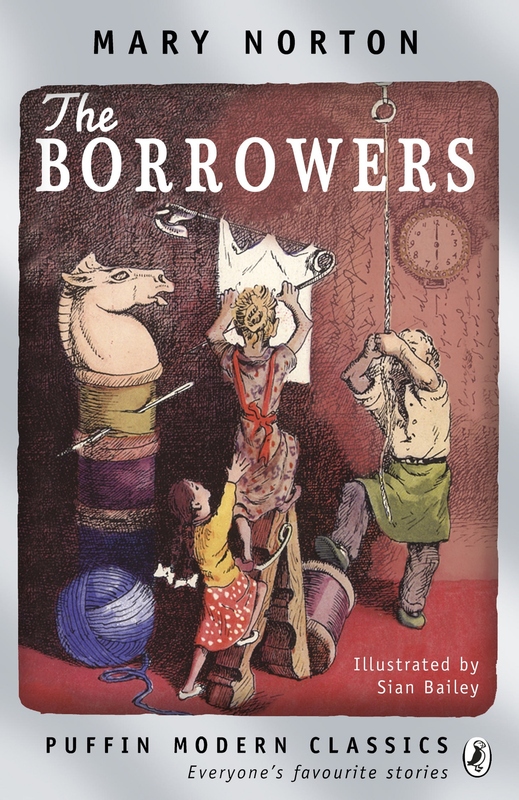 But this isn’t actually a post about Mary Norton’s wonderful Borrowers series of books. It’s a love-letter to all things tiny. Because we humans seem drawn to miniature stuff – and I wonder why? My husband told me a story that seems to demonstrate that this goes beyond cuteness. (Or maybe embodies it. You work it out.) He teaches science and in a lesson about surface area-to-volume ratios – still with me? – uses conical flasks of descending sizes, starting with enormous 5-litre ones. 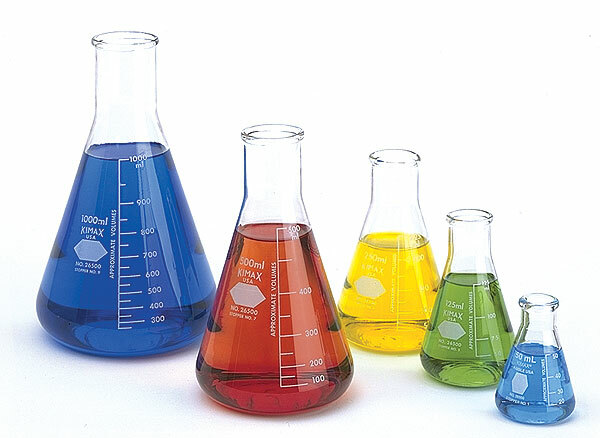 The smallest flask however is 5 millilitres – which is just 2 teaspoonfuls – and when it appears at least half the class are guaranteed to go “aaah…” This is science equipment we’re talking about! The wonderful world of conical flasks! We’ve always loved miniature worlds, from the Brontës’ lead soldiers to Lego and Playmobil, Sylvanian Families and Polly Pocket. (Other small world play sets are available!) Train-sets with detailed landscapes and station scenes. (Yay for tiny pigs, and flour sacks the size of rice grains.) Model villages set in real growing landscapes, like the one at Corfe Castle in Dorset, a 1/20th scale model of the castle and village as it was in 1646. Dolls-houses and their tiny room scenes have fascinated owners of all ages for ages. And within these it’s the smallest details that are the most pleasing – a fingertip-sized leg of lamb on a platter, a weeny light-bulb, a book with print that can only be read with a magnifying glass. 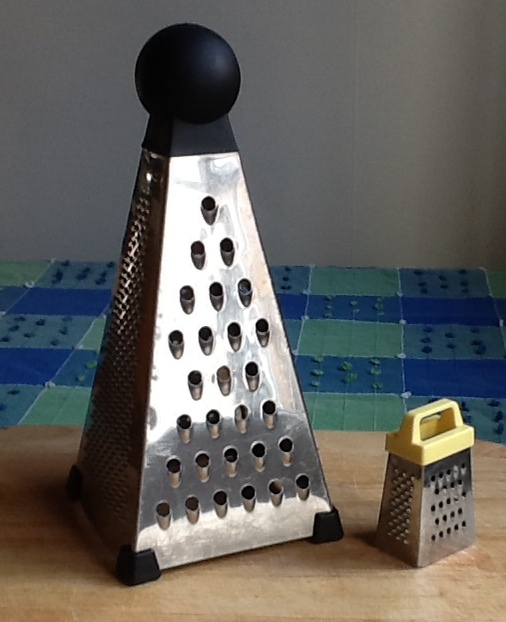 Some years ago in a kitchen supplies shop – a really good place for finding tiny stuff – I saw a grater that was just like an ordinary cheese grater, but just 2.5 centimetres high. I bought it only because was so small and I couldn’t resist. Finally – finally – this Christmas I found a use for it. A recipe required freshly-grated nutmeg so instead of the powdered stuff I bought actual nutmegs and out came the teeny tiny grater. It worked perfectly. Afterwards I washed it and left it on the draining board but no Borrower sneaked it away in the night. What is it about mini versions of our big world that makes us find them so appealing? Tags: favourites, imagination, miniatures, small worlds, toys. Bookmark the permalink. Tiny birds – and that tiny chameleon on Madagascar that’s smaller than a finger nail – oh, oh, and those tiny monkeys – utterly aaah-making! You’re right. I hadn’t even thought about ‘real’ live things. Hummingbirds. Dormouses…dormice? The power of kittens. I ADORE little things inspired by their HUGE counterparts. I like how they look just right and have the same things on them, only Teeny-Tiny! 😀 (I’m afraid to touch tiny things, cuz I end up breaking everything teeny.) hehe! You and me both, Laura. I can identify with those nightmares, Jane. (Can Polo mints be scary? Yes, if they are three times your size and rolling rapidly down a hill behind you!) But I’m sorry you didn’t take to the Borrowers. How did you feel about, say, the mice in The Tailor of Gloucester?